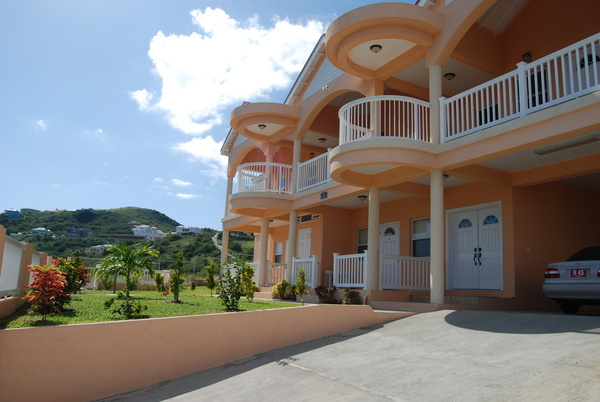 St Kitts vacation rentals, short-term rentals in St Kitts. 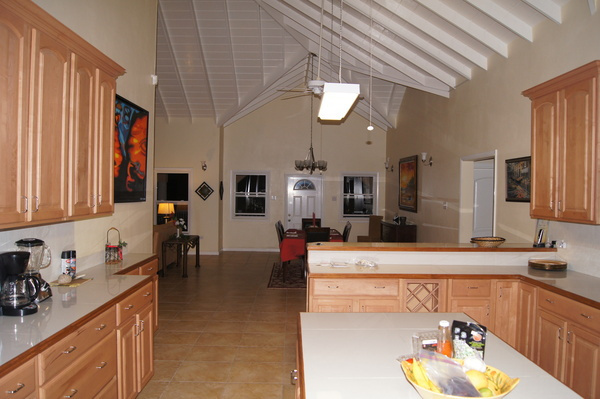 3 bedroom 3.5 bathroom spacious executive home for vacation rental in Frigate Bay. 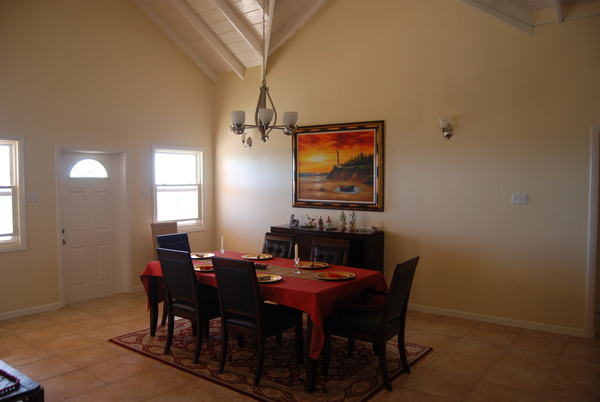 This house is exquisitely furnished and commands a spectacular view of the Frigate Bay area including the Marriott resort, Atlantic ocean and Caribbean sea. 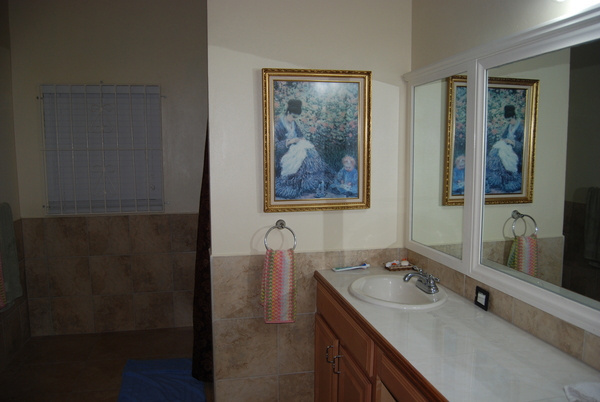 This house boasts air-conditioned bedrooms, ceiling fans in every room, fully equipped kitchen complete with dishwasher, microwave, coffee maker,side by side fridge with icemaker, stove and toaster oven, washer/dryer, cable tv, telephone, linen, towels, etc. 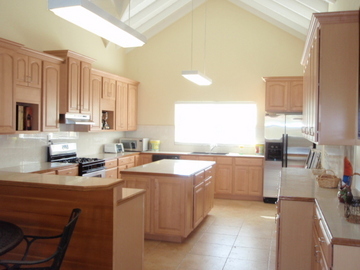 50% deposit is required to reserve the villa with balance due at least 30 days prior to arrival. 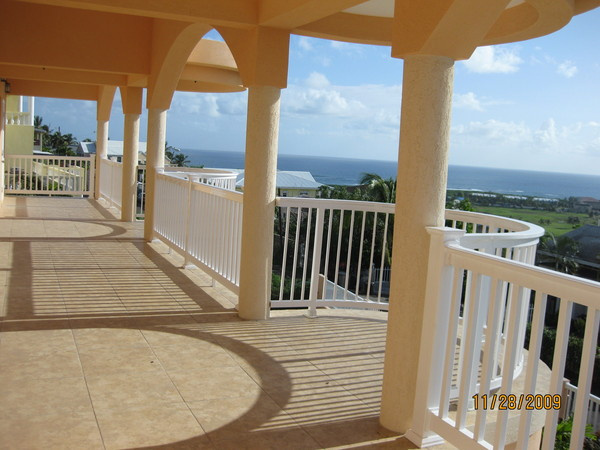 "SORRY, SMOKING IS NOT ALLOWED IN THIS VILLA"
This St Kitts vacation villa is located in Frigate Bay, an upmarket area, known for its fine restaurants, beautiful beaches, golf course, upscale homes, casinos, bars and nightlife. Best of all, while these amenities are close you don't hear them at this villa.